The 1973 election took place as the ongoing Watergate scandal evolved which ultimately would lead to the resignation of President Richard Nixon in July of the following year. In New Jersey, Republican Governor William Cahill had been elected in a landslide in 1969, decisively defeating former Governor Robert Meyner's attempt to return for a third term after being out of office for eight years. After his inauguration, Cahill had aggressively pushed for expanded support of environmental, education and social service programs, which included his creation of the Department of Environmental Protection. He also proposed development of a sports complex in the Meadowlands, anchored by a race track and a new stadium pursuant to an agreement he reached with the New York Giants of the National Football League to relocate from New York. But Cahill's policies had clashed with the more conservative wing of his party, particularly in his unsuccessful efforts to enact an income tax. 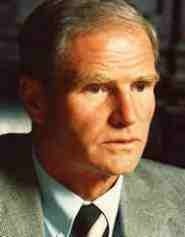 More significantly, his reputation, as a former FBI agent who had run in 1969 attacking political corruption, had been damaged by charges that led to the conviction in 1972 of his former Secretary of State Paul Sherwin for trying to fix a $600,000 state highway contract for a contractor who then kicked back $10,000 to Republican fund-raisers with close ties to Cahill. Nonetheless, as the 1973 campaign began, Cahill was viewed by most analysts as likely to win re-election. Yet in April federal indictments (on which they were convicted in the next year) charged Nelson Gross, the Republican state chairman who helped secure Governor Cahill's 1969 nomination, and Joseph McCrane, who was the Governor's campaign finance chairman and later named state Treasurer, of coaching executives to illegally designate contributions to the Cahill campaign as business tax deductions. In June, Congressman Charles Sandman of Cape May, one of the remaining Republican congressmen continuing to defend the Nixon White House against the Watergate allegations, defeated Cahill in the Republican gubernatorial primary election. Brendan Byrne, a former aide to Governor Meyner and Essex County Prosecutor who resigned as a state judge to enter the race, was nominated as the Democratic candidate. As the election was entering its final weeks in October, war in the Middle East broke out with the surprise attack by Egypt and Syria on Israel in the so-called Yom Kippur War, which was followed by the Arab oil embargo that sharply cut imports and led to a spike in the price of gasoline and heating fuel. The inflation in energy prices further undermined New Jersey's economic position, which had seen a loss of much of its heavy industry to locations in sunbelt states or foreign nations. During the 1970s, New Jersey's unemployment rates would hit levels not seen since the Great Depression of the 1930s. Just before election day in November, the House Judiciary Committee chaired by Democrat Peter Rodino of Newark began its Watergate investigation which led to later hearings on the potential impeachment of President Nixon. In the election, Byrne was elected governor in the largest landslide to that point in the state's history with over 66% of the total vote. After his inauguration, Byrne assessed the options for complying with the Robinson v. Cahill decision of the New Jersey Supreme Court delivered in the previous April that the existing state aid formula for funding public schools violated the 1947 Constitution's provision that the state insure "thorough and efficient" public education. The decision mandated a substantial increase in state aid to poorer school districts, and Byrne proposed that an income tax--which he had said during the campaign he did not believe was needed in "the foreseeable future"--was the most equitable way to raise the needed revenue. But like Governors Cahill and Hughes before him, Byrne was unable in his repeated efforts to secure sufficient votes for the tax in the legislature, leading to a sharp drop in his popularity. The tax was finally passed in July 1976 after the Supreme Court, now led by Chief Justice Hughes, had ordered the closing of all public schools until the legislature approved raising sufficient revenue to meet its prior Robinson v. Cahill decision holding that the existing school funding formula violated the state constitution. The package of measures enacted along with the tax included caps on spending increases by all levels of government; increased oversight of local school performance; and an annual return of revenues in the form of homestead rebates to taxpayers. Byrne's political vulnerability led to challenges from several opponents in the June 1977 Democratic primary. The number of candidates allowed him to win the nomination with only 30% of the vote as the anti-Byrne votes were split among his challengers. 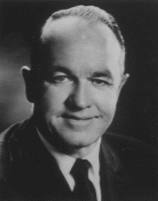 In the general election, he also pulled off a come-from-behind victory over Republican Raymond Bateman when he was able to persuade voters that the Republican alternative to the income tax--labeled as the "Bateman-Simon" plan after his opponent and former Nixon Treasury Secretary William Simon--should be, as Byrne said, "known by its initials. "to edit. Apart from the income tax, Byrne's eight years in office saw the development of the New Jersey Sports complex with Giants Stadium and the indoor sports and entertainment arena (controversially first named after Byrne); legislation to protect the resources of the Pinelands; the creation of New Jersey Transit; approval of casino gambling in Atlantic City; the establishment of Liberty State Park; imposition of strict controls on the use and shipment of cancer-causing chemicals; construction of new sewage treatment facilities to end untreated ocean discharges; and the authorization of a state compensation fund to meet losses and finance cleanups of toxic chemical and oil spills, which became the model for the federal Superfund program. 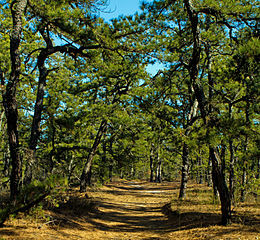 Byrne considered the preservation of the Pinelands his most significant achievement. After first encountering difficulty in securing sufficient support in the legislature, he issued an executive order barring most construction until a more permanent planning and regulatory program was enacted. The controversial action promptly was challenged in the courts, but succeeded in building pressure so that Byrne's proposal was enacted as the Pinelands Protection Act. After the law went into effect, a plan developed by the Commission created by the legislation sharply curtailing new construction was approved by the US Department of the Interior pursuant to complementary federal legislation which established the Pinelands National Reserve. 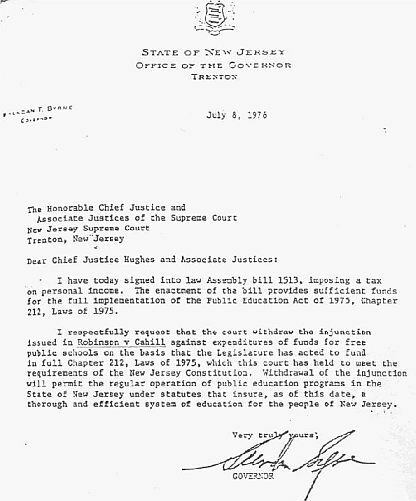 During Byrne's time in office, the New Jersey Supreme Court, in addition to its landmark role in the Robinson v. Cahill litigation, took other aggressive actions. In 1975, in Southern Burlington County NAACP v. Township of Mount Laurel, the Court held that a system of municipal land use and zoning regulation making it physically and economically impossible to provide low and moderate income housing was unconstitutional. The "Mount Laurel" case subsequently led to controversial state legislation to establish goals for affordable housing in each municipality. In 1976, the Court's In re Quinlan decision held that the father of 21-year-old Karen Ann Quinlan, who had lapsed into a vegetative state after a night of drinking alcohol and taking tranquilizers, was legally able to order her removal from the ventilator thought to be essential to keeping her alive. After the ventilator was disconnected, she unexpectedly continued to breathe on her own, subsequently dying ten years later of pneumonia. The "right-to-die" decision received global attention, and led to legislation in New Jersey and other states defining procedures to be followed in similar situations. In February 1980, NBC News reported that the FBI had been conducting an undercover investigation under the code name Abscam in which an agent had been posing as a wealthy Arab purportedly interested in investing in Atlantic City, offering payments for support of his projects from local, state and federal officials. Of over thirty officials who were investigated, those convicted included New Jersey's US Senator Harrison Williams; Congressman Frank Thompson of Mercer County; and state Senator and Camden Mayor Angelo Errichetti. Five members of the US House of Representatives from other states also were found guilty, along with members of the Philadelphia City Council. The November 1981 election for Byrne's successor resulted in the closest election in the state's history, only decided three weeks after the election with a recount showing Republican Thomas H. Kean--a descendant of William Livingston, the state's first governor elected in 1776--defeating Democrat James J. Florio by 1,767 votes. After he took office, Kean proceeded to pursue policies to mandate minimum statewide teacher salaries and allow licensing of teachers without traditional education training; extend state land-use control over wetlands; and expand support of the arts, most notably with the construction of the New Jersey Performing Arts Center in Newark. Kean's two terms in office also benefited from the 1980s economic recovery, as new housing and office construction was spurred by national policies to lower credit costs. The state labor force grew by over a half million, and was increasingly well-educated, filling the demand for more technical positions, particularly in technology and service industries which emerged to provide jobs formerly offered by heavy industry. Household income during the decade ending in 1990 rose over 23% in constant dollars to $41,000, the second highest in the nation behind only Connecticut. But the prosperity was uneven; the number of families living in poverty with children under five years old doubled over the ten years and over half of the state's population growth became more dependent on foreign immigrants, many of whom lacking education, language skills and financial resources to compete in the new economy.